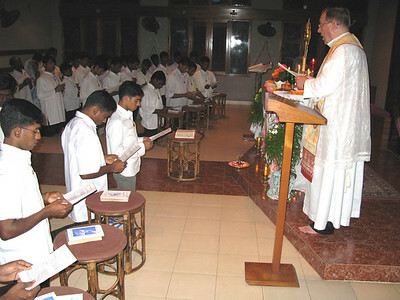 After the acceptancy into the Postulancy program each is given a Bible. 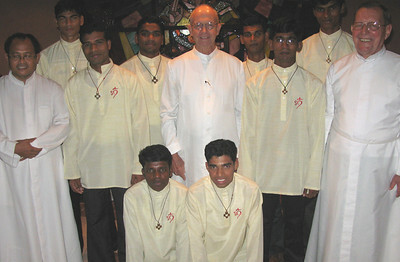 The Postulants with the Fr. 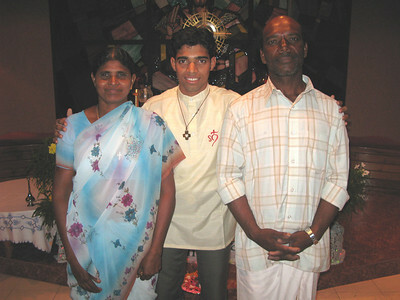 Tom, program director (center), Fr. 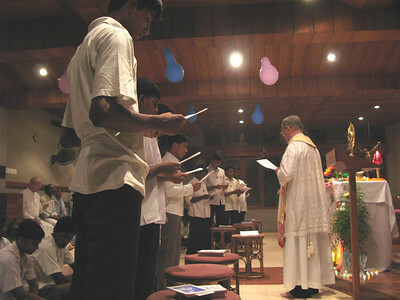 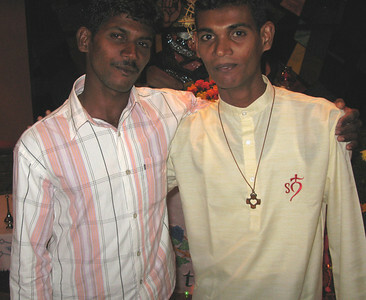 Teja, the superior of the community (left), and Fr. 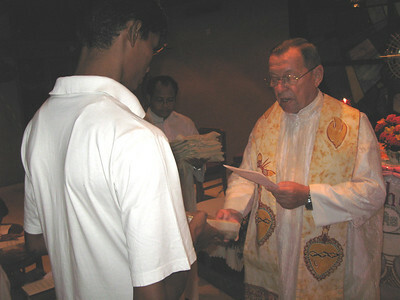 Martin, District Superior (right). 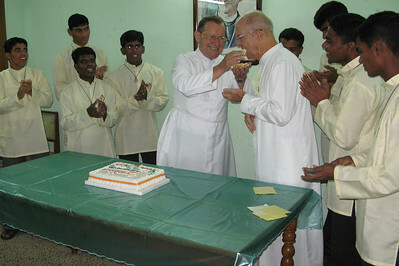 The traditional cutting of the cake. 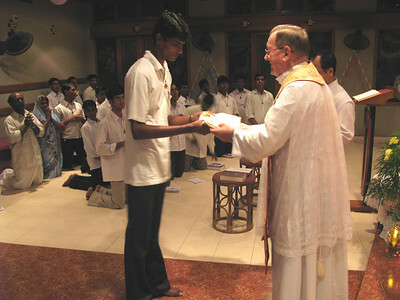 The traditional \"sharing\" of the cake.